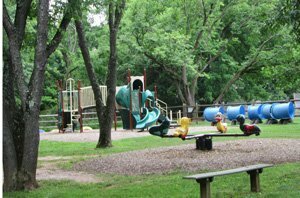 The playground at the North Branch Reformed Church Preschool is a favorite spot for our students. During the school year, the children have 30 minutes to climb, swing, and slide each morning, and extra playtime in the afternoon class. 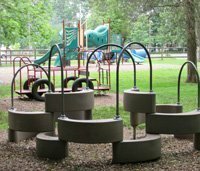 Our playground is 18,000 square feet, fully fenced, has areas of sun and shade, has 11 pieces of equipment, and has been approved by a Certified Playground Safety Inspector. In the last few years, the Preschool and PTO invested over $100,000 adding new equipment, fencing, and surfacing. 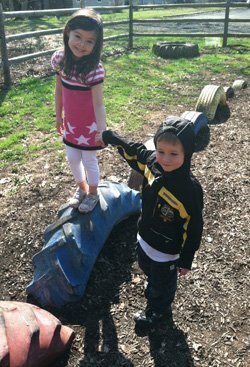 Our students love having fun with their friends on our playground! Kid Street Playground – Garretson Road, Bridgewater, next to the Municipal Building.